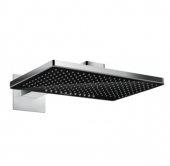 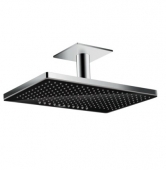 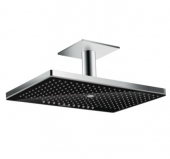 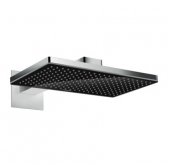 If you like rain showers, you will love the rain shower of Hansgrohe Rainmaker Select. 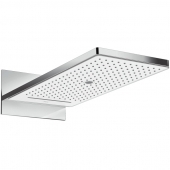 Choosing this shower, you will get your own tropical rain experience in your own bathroom. 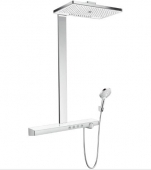 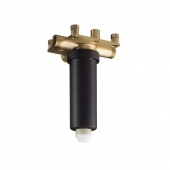 The high-quality head shower is available in 3 sorts of water streams. Their holes are created by a precision laser, which guarantee an optimal showering pleasure. 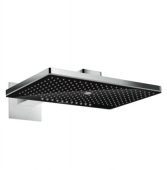 Modern optics and a shower plate made of glass, a slim chrome frame and straight lines ensure that the Rainmaker Select is a perfect choice for your bathroom and that you can focus on the most important aspect, enjoy the feeling of water dropping on your body – similar to rain. 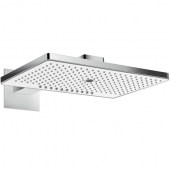 Due to this variety it is possible for everyone to enjoy the award-winning rain shower. 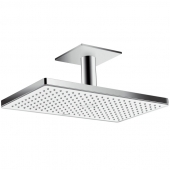 Thanks to the Select-button you can easily choose between head and hand shower, between different stream. You cannot ask for more comfort. If you are looking for the perfect shower, choose the Rainmaker Select of Hansgrohe.